Take some time out and rock your way to relaxation on our Amish Jumbo Royal Mission Rocker. 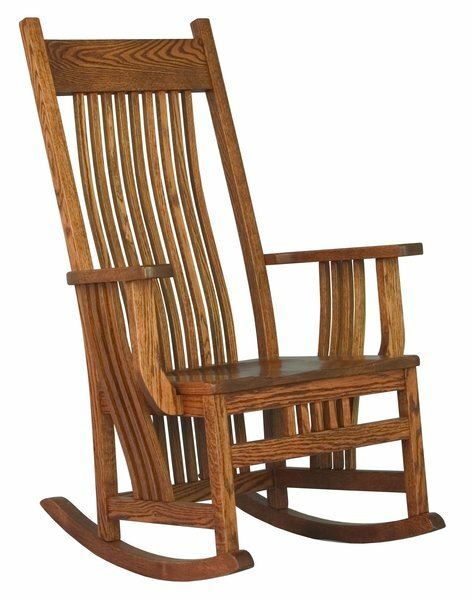 This solid wood rocker that can be customized with a fabric or leather seat measures 48h x 31d x 29 1/2w and features steam bent mission-style slats. Available in oak, cherry, quarter sawn white oak, brown maple, or hickory, the top of this piece can be made with a flat top, flat top with diamond inlays, or cut out top with diamond inlays. Shown in Oak Wood with flat top and steambent back slats.